So I visited Veggie Grill a few weeks ago and wrote up a review post which I promptly also posted up onto Yelp as I am accustomed to doing. I gave them 3 stars out of 5 on there. What I didn't expect after a short span of time was for the owner, Kevin, to contact me directly with apologies for the poor experience I had there. I was quite surprised, especially since I didn't have a terrible time but was just disappointed due to high expectations (blame the hype I heard from others). It is rare to see a response from an owner much less one written quite respectfully and containing enlightening information. He also was kind enough to offer me a chance at giving them a second chance. Having received Kevin's permission, I will quote the communication between us. We clearly disappointed you, and I'd like to apologize for doing so. Please do me a favor, allow me to send you a gift card for you and a friend to dine as my guests. Perhaps sample the Santa Fe, the VG-Cheeseburger, the All Hail Kale, the Buffalo Wings and our desserts. We try very hard to offer the lowest possible prices that allow us to remain viable as a business. The ingredients that we use are more expensive due to, for example, buying organic and/or local/sustainable as often as possible, not using high fructose corn syrup, all recycled/biodegradable etc. We also pay our employees more than the norm, and we offer health insurance to all those who work 30 hrs/ wk (a rarity in the restaurant business). In any event, we are trying to do right by our team members & our guests, which adds up to our costs being a bit more, but hopefully people will notice the superior quality of our food & service. If you send us an address, we'll send you the gift card for two. Thanks for listening, and for your comments--we only improve by dealing with the pain of criticism. First of all, thank you very much for even taking the time to message me in regards to my review. It is an extremely rare occasion when someone from the eatery directly contacts me (and possibly anyone), so I definitely appreciate that you are connecting with your customers. As I mentioned in my review, the entree I had was overly charred but I know that that may not have been the norm. It could have been a mistake while it was being made. Unless I absolutely abhorred the food or had terrible service, I usually write a second review of a place to see how it matches up to the first experience. Other than the entree, the other menu items were delicious. I really do appreciate that you have explained to me the breakdown of your restaurant's production costs because I wasn't aware of your efforts to provide "local/sustainable as often as as possible." That is definitely a commendable endeavor, and it certainly gives justification for your prices. I was also glad to read that you treat your employees well. Thank you for clearing up my misconception. I wanted to ask your permission to copy your message to me for posting on my food blog. As I said before, it is rare for an owner to contact the customer directly, and you did so in a respectable manner; therefore, I wanted to also let my readers know about what you've done. 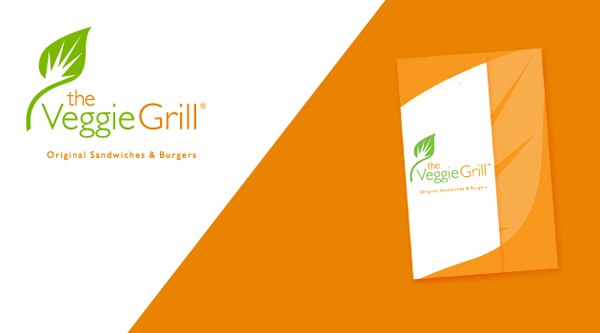 If you allow, I'd like to post up what exactly you said not only to show that you contacted me but also so that they know Veggie Grill's efforts for good food and service. I can message you when that post goes up (the original review is at http://www.muchadoaboutfooding.com/2011/10/eatery-veggie-grill-ca.html). As for the gift card, thank you very much for that offer. It was not a necessary gesture at all, so I am grateful for it. My mailing address is Minerva Thai, [ADDRESS] Garden Grove, CA 92843. I am looking forward to visiting again and doing a second review! Our view is that without our guests we are nothing, ergo we pay close attention to what you have to say. I would be delighted to have you post my missive to you! Gift card will go out ASAP...I look forward to your next review (you write extremely well). To re-emphasize, I am quite impressed with his outreach and am looking forward to the next opportunity I have to give them a second review. The fact that they care not only about their customers via good service and choice of food products but also their own employees by providing benefits shows that they are a restaurant worth looking into again. As a side note, I really like the fact that he said, 'ergo,' because I hardly ever see that word used, heh. Anyways, anyone up for a meal date?